An extremist Islamic preacher who has promoted violence in the past helped to recruit Muslim foster carers in London earlier this year. The revelation comes amid the ongoing row over a five-year-old ‘Christian’ girl placed in the care of a hard-line Muslim family by Tower Hamlets Council, despite the opposition of her family. 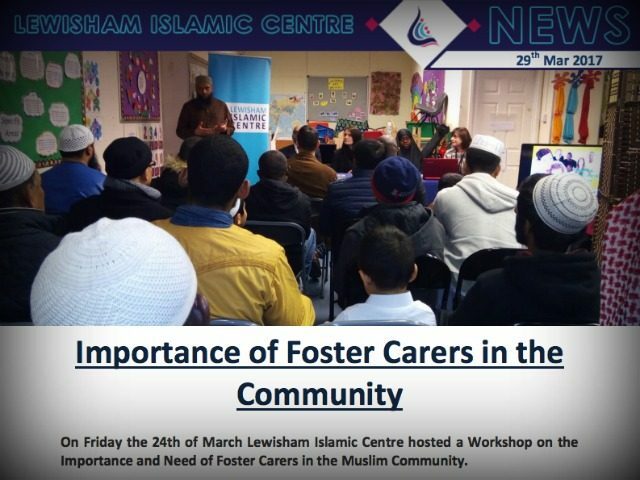 Imam Shakeel Begg hosted a workshop for potential foster carers in Lewisham just months after the High Court ruled him an “extremist Islamic speaker” who had “promoted and encouraged religious violence”. The Islamist terrorists who murdered Fusilier Lee Rigby also attended his mosque, where the event was held. The mosque has condemned the killings and denies associating with them. The session was organised by Network Recruitment Solutions (NRS), who are responsible for the recruitment and assessment of foster carers for Lewisham Local Authority, and was attended by a social worker from the council. The event is proudly advertised on the mosque’s website, which shows an image (above) of the radical imam addressing an audience. 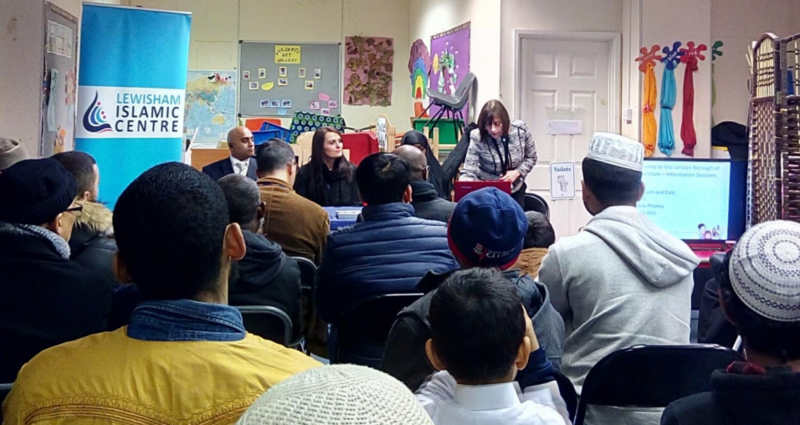 The website states that only eight of 154 foster carers in the borough of Lewisham are Muslim and says “it is crucial for Muslims to be involved in Foster Care”. “It is inconceivable that those who espouse extremism should be overseeing childcare of any kind, including fostering. Shakeel Begg was found to be an extremist in the High Court as recently as October, and despite this Lewisham Islamic Centre has kept him in place as Imam and a trustee. Just a few months before the event, Mr. Begg lost a High Court libel case against the BBC which accused him of promoting extremism. Mr. Justice Haddon-Cave, ruling in the BBC’s favour, described Mr. Begg as a “Jekyll and Hyde character” and “an extremist Islamic speaker who espouses extremist Islamic positions”.